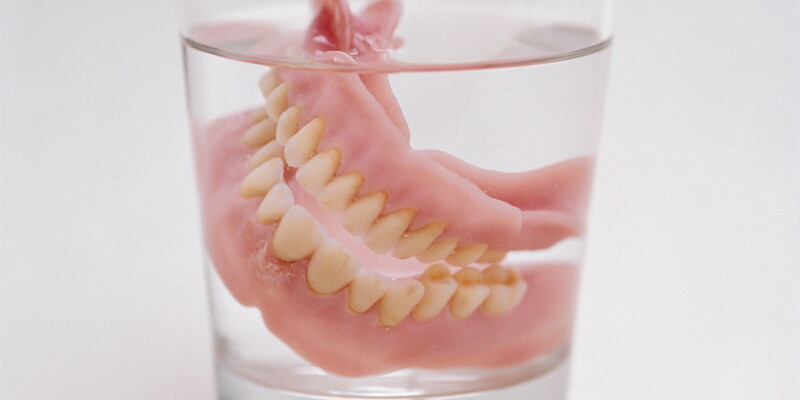 I remember as a little girl being utterly terrified at my great-grandmother’s dentures. The first time that I ever realized that she had false teeth was when I found them peculiarly suspended in a glass of water on the kitchen counter. The jaw was unhinged, as if it was perpetually locked in a ghastly scream. Another time, the dentures were simply sat on her bedside table, grinning horribly at me like some kind of sick advertisement for why children should brush their teeth at night. I wondered if all ‘old’ people had these frightening contraptions. Now that I’m all grown up (sorta), I recognize that modern dentures are far less scary than their predecessors, which are truly the stuff of nightmares. It probably will not come as a surprise to most readers that people in the past suffered from tooth decay the same as we do today. Early toothbrushes with their horsehair bristles (see Napoleon’s, right) often caused more problems than they prevented, and toothpastes or powders made from pulverized charcoal, chalk, brick or salt were more harmful than helpful in the 18th and 19th centuries. Most of us have had cavities in our lives. Some of us are even old enough to have had them filled with amalgam, a mixture of mercury, silver, tin and copper. But in earlier periods, having a cavity filled was not an option. Once a tooth began to rot, one had little choice but to have it pulled, sans anaesthetic. In the 18th century, the tooth key was the preferred tool for pulling teeth. The claw was placed over the top of the decaying tooth; the bolster, or the long metal rod, was placed against the root. The key was then turned and, if all went well, the tooth would pop out of the socket. Unfortunately, this did not always go to plan. Often, the tooth shattered as the key was turned and had to be plucked from the bleeding gum tissue piece by piece. As time progressed, incidents of tooth decay rose as sugar and tobacco became more readily available, creating a market for dentures. Early versions were made of ivory or animal bone, and typically incorporated the teeth of executed criminals or exhumed bodies. 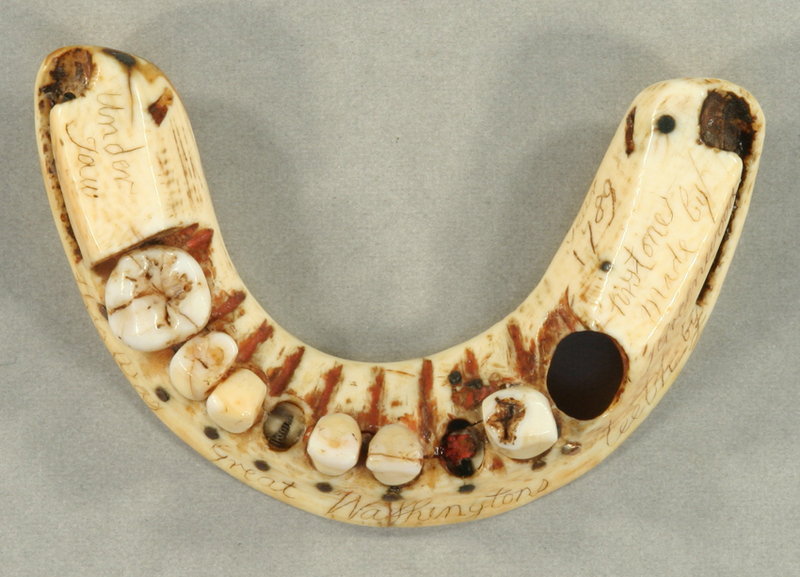 See, for example, George Washington’s dentures. When the first President of the United States was inaugurated in 1789, he only had one remaining tooth left in his mouth. 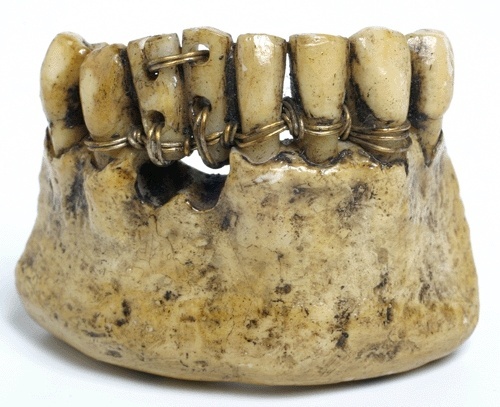 Dr John Greenwood—a dentist from New York, and former soldier in the Revolutionary War—fashioned a set of dentures from hippopotamus ivory, using gold wire springs and brass screws to hold together the human teeth he had procured. There was even a hole left for his one remaining tooth. What practitioners really needed was access to young, healthy teeth. That opportunity presented itself during the Battle of Waterloo in 1815, which led to the deaths of 51,000 men, many of whom left behind a perfectly lovely set of teeth after they shuffled off this mortal coil. ‘Waterloo Teeth,’ as they were known, referred to any teeth stolen from the mouths of dead soldiers in the 19th century, and was a term even employed during the Crimean and American Civil Wars. Body-snatchers followed armies into battle, and returned home with bagfuls of teeth which they then sold to dentists and surgeons for a very high premium. As superior as these dentures were to older versions, they still carried with them the stigma of underworld thievery, which didn’t sit well with the toothless upper-classes. Eventually, dentists were forced to develop new techniques using new materials (such as porcelain) to create dentures that didn’t require the use of dead men’s teeth. And, of course, the teeth of those who died fighting on the battlefield. 1. Qtd in Ruth Richardson, Death, Dissection and the Destitute (1987; repr. 2000), p. 106. I still remember how appalled I was the first time I saw my grandmother’s dentures soaking in the little container she used for them. Yikes! Plastic body parts in the house! Hahaha. I thought I was the only one who was afraid of Oma’s teeth in the glass as a child. Apparently not. Thanks for once again a great history lesson. As a nurse I have handled my fair share of other people’s dentures, but I couldn’t imagine what all those poor people had to go through before the advent of modern dentistry. Great informative post. Just encountered this in Bernard Cornwell’s “Sharpe’s Prey”, set in 1807, where a character needing several teeth replaced had an embarassment of choice due to a recent battle. I knew that the bodies of dead soldiers were routinely plundered, but I had no idea their teeth were taken as well! Hello, I just wanted yo let you know some info about the jaw with the gold wired teeth in. It’s actually ancient Etruscan, about 2000 years old.This method was also used by the Phoneticians and Egyptians.